M.A.T., Smith College, B.A., Marlboro College, Russian-speaker, nature-lover, maker of small things, and proud geek. I arrived at Compass in 2017, a bright-eyed, bushy-tailed student teacher. Unsure of what to expect, I was immediately welcomed into the fold by staff and students alike. I was pleasantly surprised to find a supportive community that offers students the opportunity to grow into the best version of themselves. I love the holistic nature of a Compass education–students seamlessly transition from work to play, from science to music, from artist to activist. I love that Compass allows me to embrace different aspects of myself. This year, I will be teaching Spanish and Middle School Humanities. Additionally, I will be helping the music program out whenever possible, one of my greatest extracurricular passions. I play guitar, piano, drums, produce electronic music, and sing, to name a few of the ways my hobby takes shape. I also love rock climbing, hiking, mountain biking, and most outdoor adventures, as well as meditation. It is a gift to be able to share many of these passions with students! I came to Compass in 2013 with 16 years of classroom experience in alternative education that encompasses foreign languages, mathematics and ESL at both the middle/high school and college levels. Places like Compass have an important role in making education accessible for students of all kinds of backgrounds and I’m honored to contribute to that work. Plus, our community is fantastic! How can you beat a top-notch learning environment and folks who genuinely care about each other? In addition to my work at Compass, I lead workshops around New England exploring student achievement, how to teach to multiple learning styles and how to build standards-based curriculum models. I’m also a certified T’ai Chi and Chi Kung instructor, and I love to study Eastern Philosophy. Distance cyclist, triathlete, soccer nut, polyglot, graphic designer, disc golfer, dungeon master, game nerd, puppeteer, professional napper. Singer, Dancer, Kitchen Putterer, Fiber Arts Enthusiast, Gardener, Listener, Rambler, Wonderer. I entered the Compass world in 2000, and the school continues to be a challenging, vibrant, exciting place to work and to learn. The hats I currently wear at Compass include those of advisor to the Class of 2020, high school science and math teacher, assistant director, board member, student judiciary advisor, and parent of a Compass alum. I love how our school continually inspires all of us to be better scholars and, most importantly, better people. 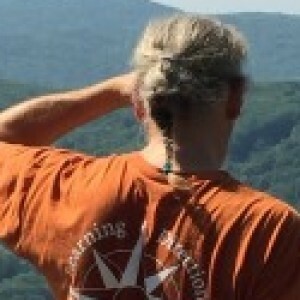 I live with my wife and my son in Westminster, Vermont, and in addition to my work, I love the outdoors, skiing, music (performing musician), sports, yard work, family, and friends. 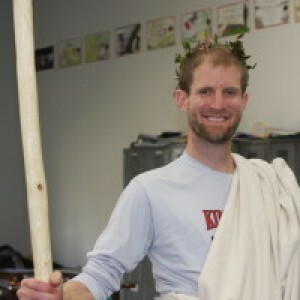 I joined the Compass community in 2012 as a humanities teacher and advisor. I was born and raised in the Boston area, and moved back to Beantown in 2003 after graduating from Colgate University in central NY state. There, I met my wife (a native Vermonter) and put off my teaching career in favor of a 5-year stint as a brewer. In 2011 we moved to Vermont in order to pursue two goals: living in a wonderful quiet setting, and my teaching aspirations. I gained teacher certification through the Upper Valley Educators Institute while interning at Rivendell Academy High School and The Sharon Academy Middle School. In my spare time, I enjoy hiking, jogging, skiing, biking, gardening, playing fetch, and generally being outdoors. Outdoor enthusiast, endurance athlete, Boston sports fan. Howdy! I joined the Compass faculty in the Fall of 2015 as Director of Support Services. Since then, I have felt honored to be part of such an enthusiastic and caring academic community. I grew up along the Hudson River in New York State, and then attended the University of Colorado where I earned a Bachelor’s Degree in Biology. After graduation, I remained in Colorado where I enjoyed hiking, biking, and skiing in the Rocky Mountains. This is also where I discovered my enthusiasm for teaching through my work in the special education department at a small local high school in Nederland, CO. After several years, I moved back to the east coast where I pursued a Masters Degree in Secondary Special Education. I have worked in high schools from the lower east side of Manhattan, to the suburbs of Westchester County. I have also worked in two private schools, Marvelwood in Kent, CT and Vermont Academy close by in Saxton’s River. In the eight years I have lived in southern Vermont, I have enjoyed the lifestyle and natural beauty that I missed from my time in Colorado, and equally value being close to family for frequent visits. Vermont Certified Special Educator, dog lover, laughter generator. What fun! I have been at Compass since 2001 and every year has been so different! I started here right after getting a masters at Antioch and found a dream school. It has been a pleasure to grow as the school has changed from a new community of dreamy-eyed students and educators to a crew searching for excellence. I have enjoyed so many corners of our community but currently spend my time teaching High School Math, Physics, and art. It is so nice to have this balance of topics in my week and life. At home, I am a mom. I have two sassy girls and we live in the middle of 100 acres of woods in Putney. Have a goofy labrador, a cat that thinks it’s a dog and two chickens. I have been the bookkeeper and office manager at Compass since 2014. I love being able to reconcile the accounts with the students, families and teachers that make up this amazing community. My son and daughter attended Compass. As a staff member I have had the opportunity to work with students and parents bringing the perspectives of each together to make the accounting as transparent and understandable as possible. At home I can usually be found with my three dogs, my three cats, or my flock of chickens. All of these animals make me laugh with their antics. I love to read, to cook, to garden, to do yoga, to create artwork, and go for hikes. When away from home I love to travel, particularly abroad. I can often be found seeing live music and travelling to Burlington. Both of my kids attend UVM. For me, spending time with my family is my greatest joy. And geek of many colors. I joined the Compass community as the part-time School Counselor in October of 2014. I feel quite honored to be part of this team of knowledgeable and committed educators, striving to educate the “whole” child! I grew up in New York, and then Boston suburbs, and attended both the U. of Mass and the U. of Oregon, where I earned my B.A. in Psychology. Following several years of experiencing life outside of New England, (Oregon, Washington & Europe), I returned to attend graduate school, earning a Masters in Expressive Therapy with a specialty in Art Therapy. After fifteen years working as a school-based child and family therapist, and starting my own family, we all relocated to Brattleboro. Gradually reentering the workforce, I worked as an art teacher initially in special education classrooms, then at the Brattleboro Retreat Meadows School for 7 years. While I loved the creativity, missing being a therapist motivated my return to clinical work, first at Monadnock Family Services, then here at Compass. Recently, I opened a small private practice to compliment my three days at Compass. I truly love to help children, teens and their families navigate the journey of growing up! When I’m not delving into the mental health of others, I am finding balance and self expression in my own life through exercising, painting, gardening travel and and keeping track of my own 20-something children! Artist, gardener, keep in touch with my children (now 20-somethings), travel adventurer. I’ve been at Compass since its founding. As Director, my ideas and words are throughout this website and various documents. You can read some more of my perspective on the power of a Compass education in Compass Journals you can find under resources. In short, I believe Compass consistently develops graduates with capabilities that few high school seniors in America can match. Sometimes our program may look “non-traditional,” but every element in the Compass program is purposeful and contributes to student growth. In recent years I have been fascinated by what I have labelled our “Yes, you can” culture and how students are transformed by the wealth of affirming experiences they have through Compass. I also am continually appreciative of working in a place where we can bring our best, authentic selves to our shared commitment to help every child find success. I invite all to stop in and chat sometime! I came originally to Compass in 2013 to help Alexandra in her math class, and returned in 2016 to assist with Student Support Services as a 1:1 provider. I started in Title I in Brattleboro in 1997, but took time off to do carpentry before returning to education at the Putney School. Compass means a lot to me. I believe deeply in Compass’ mission and I’m grateful to be part of a community that strives to be open and loving. I am the proud parent of a Compass alum. I live in Brattleboro. Carpentry, hiker, kayaker, meditater, napper. Music, art, dancing, gardening, psychology, home, health, nursing, family, children, education, motherhood! Hello – I am Ron BosLun of CCC Road in Westminster, a 10-minute bike ride from Compass. I frequently tell people that Compass is not only a great place to be a kid; it is also a great place to be an adult. I have been working with middle school students for most of the last 25 years. This year, I am teaching Algebra I and middle school science. As do all other staff here, I wear a variety of hats. Most notably, I direct our school play, coach basketball, drive our bus, and coordinate our evolving health curriculum–which suits me very well, especially given my involvement the past several years with suicide prevention, for which I teach the Lifelines curriculum. I am grateful to be at Compass and to support its mission of educating the whole child. Musician, theater and yoga enthusiast, bicycle commuter, father. The best thing at Compass is the student/faculty relationship. I got into education with the idea that learning is best fostered in a collegial environment. Like a flat management structure, I get to work with students as partners in the process and watch them take the lead. Every day I wake up looking forward to new and fascinating projects proposed by my students. As a generalist, I’ve been graced with the opportunities to teach poetry, philosophy, history, economics, digital citizenship, financial literacy, chess, geography, art, religion, psychology, and coach ultimate frisbee! Before going into teaching I spent much of the previous decade in and out of the Middle East with the US Air Force.